In Fashion was a curious collection of fashion, shopping, people and models. 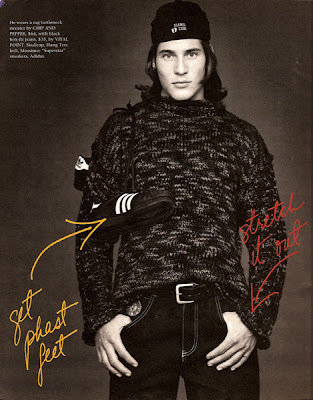 I kept this particular issue, well, because of cover boy Simon Le Bon. 15 years ago most of us had grown out of our Duranie phase, but sometimes a girl just couldn't help it. I remember loving all the Adidas used in the above layout. And the jeans! The baggier the better. It was for real, and the photos prove it. Everything was so giant back then, wasn't it? I'm glad things are slimming down, finally. I was never a fan of the baggy look! '93 but such a product of the '80s. and i guess much as i try to deny it, so am i, at least style influence-wise. your site is so incredible. the images you have held on to, and are sharing. they are buried so deep in my subconscious. in high school social studies i couldn't get the frocks of the greeks & romans out of my mind. in art history at college i couldn't let go of the style of edie sedgwick and jean seberg. i realized fashion is our individual entry in the history books. we are all part of fashion history. enc and editor, thnk you for your comments! funny how conscious i am of clothing, and conscious of every decision i make, but not so clear on what informs me. 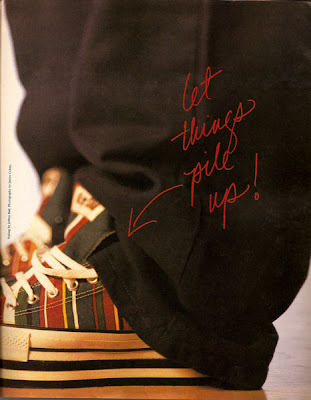 this issue, enc's note of the big-ness of it all...you should see my all-time favorite pants (that i currently own and wear, weather permitting). 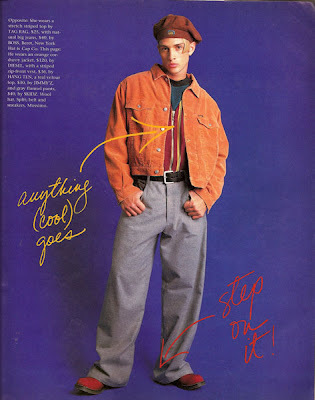 levis men's cargo pants. big. i do not like the skinny. i love the baggy. there is such a thing as baggy that fits properly. the waist is the key part, but after that is settled, then the volume... i love volume. 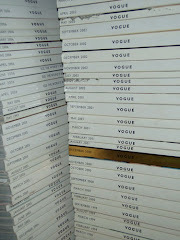 what a great idea to pull out old magazines for inspiration! 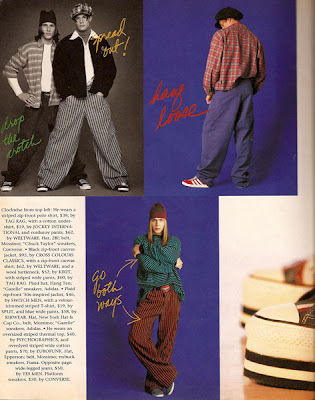 i wish i could get my hands on some fashion magazines from the 90's. who knows what can show up.